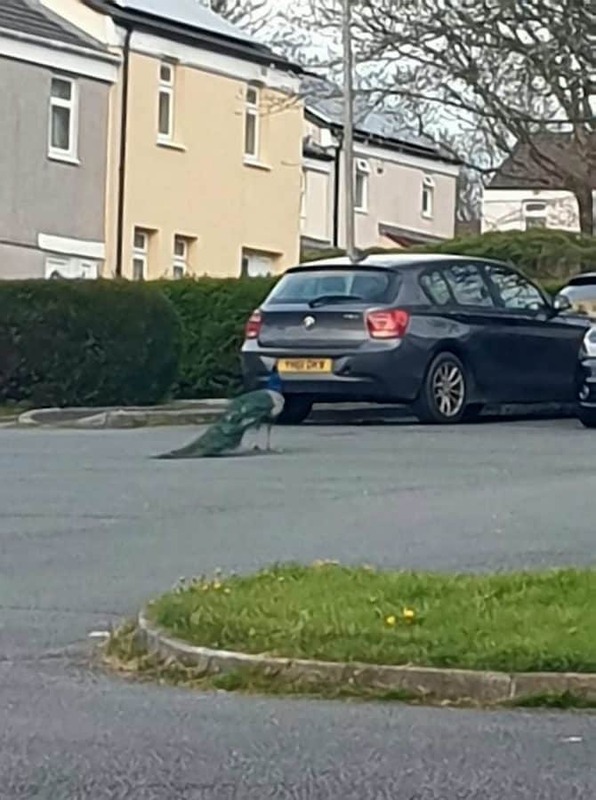 Residents of a small village say have been terrorised by this angry escaped – PEACOCK. One woman described how she was ‘charged at’ by the massive bird as she tried to capture it. 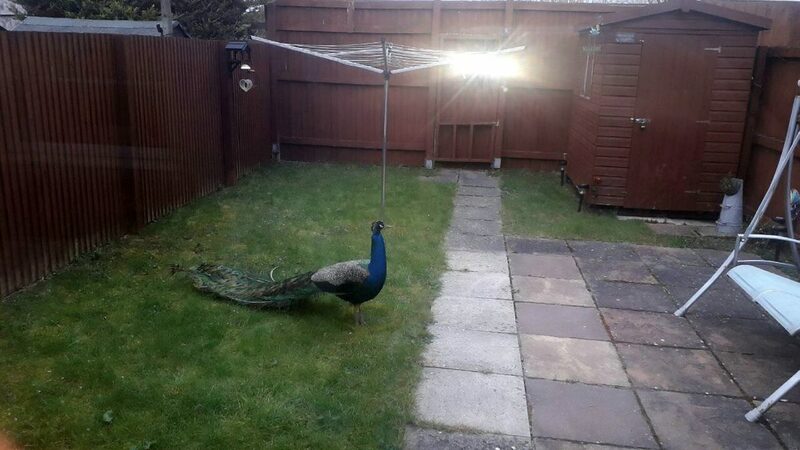 The majestic runaway bird – nicknamed Percy – was later spotted in a nearby back garden and is thought to still be at large. She said she then tried to phone a local vet’s practice to ask for advice but the woman who answered laughed when she heard Tonie’s story. Other residents of Estover, on the outskirts of Plymouth, reported hearing a peackock’s unusual cries last night. Percy was last photographed this morning in a back garden a few streets from where he outsmarted Toni. Kate Reynolds said her mother looked out of the window at 8am this morning (Tuesday) and saw Percy standing on her garden shed. “She couldn’t believe it,” said Kate. Percy is believed to have escaped from Nearby Poole Farm. They asked residents to report recent sightings.